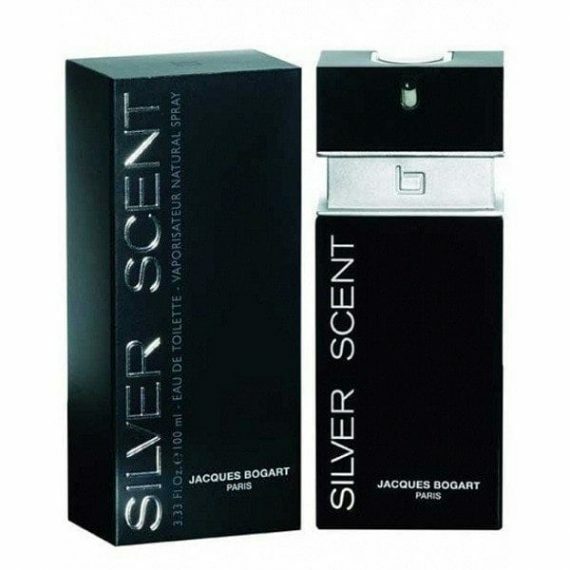 Silver Scent Eau de Toilette by Jacques Bogart is an oriental woody masculine fragrance composed of head notes of Orange Blossom and Lemon. The heart notes are Rosemary, Nutmeg, Coriander, Lavender, Geranium and Cardamom with a base of Litchi, Tonka Bean, Teak Wood and Vetiver notes. It is an unusual scent that has been favoured by many men of distinguished style. The predominant note is Litchi and the fragrance is very long lasting. The scent was launched in 2006 in a 100ml black flacon with a silver neck.